There is a great amount of information available in any security solution or surveillance system. And in realizing that information, we work with partners such as 3xLogic and others on developing solutions that provide outstanding security and safety business intelligence in one platform. By adding video to focused and customized reports around the KPIs that are critical to running your business, you can better understand the insights the data provides – and add immediate proactive responses to security or safety threats within your organization. VIGIL Trends provides a clean, simple visual snapshot of your business. 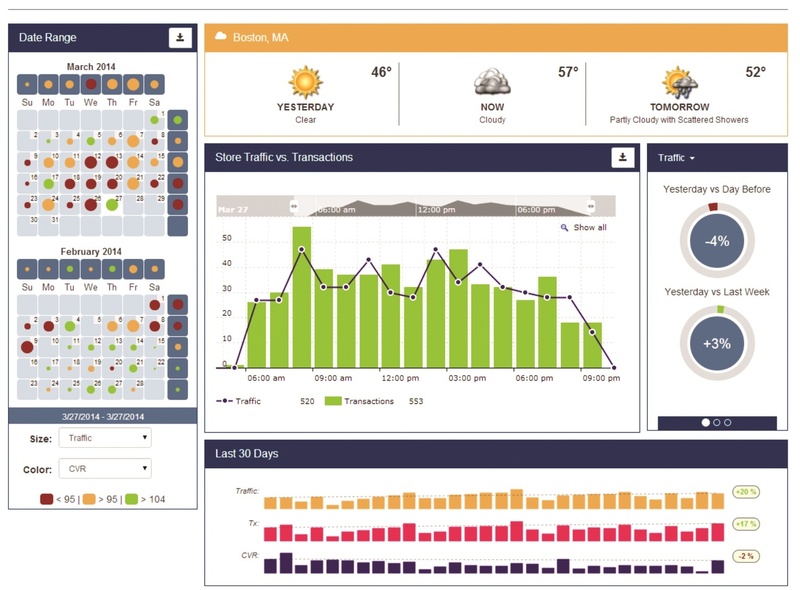 Leveraging unique icons, graphs and intuitive color grouped images, Trends empowers the user to interpret vast amounts of disparate data more effectively and efficiently than ever thought possible. Trends reports are completely customizable, presenting information in the format and method most effective for you. The increase in viable data being made available through sensors, cameras, time/attendance systems, access control devices, ATMs, EAS, LPR, POS and other analytic tools has been harnessed to provide unprecedented visibility into any organization. With VIGIL Trends, 3xLogic has created a way to distill all of this disparate data into relevant, actionable information that can be efficiently and effectively acted upon—saving time and money while reducing loss. 3xCLOUD, our exclusive web-enabled application, allows users access from one camera to thousands of cameras from any network device—anytime, anywhere. With 3xCLOUD, you can use any network-enabled device (smart phone, tablet, laptop or desktop computer) to watch and monitor any of the cameras connected to your VIGIL Video Server. The 3xCLOUD allows you to view live video, search and save stored videos from any of your cameras to your network. You’ll always be able to see what your cameras are watching, regardless of your location with live video at your fingertips, 24/7. 3xCLOUD supports iOS, Android, Safari, Google Chrome, Internet Explorer, and Firefox for complete cross-platform (Mac/Windows) accessibility. VIGIL Video Management System (VMS) is the driving force behind the VIGIL family of video servers. Collecting information from all of your disparate systems including audio data, video data and transactional data, VIGIL VMS delivers a simplified but robust management system with elevated functionality through video verification of events and transactions in both real-time and playback. Leveraging 3xLOGIC’s exclusive RapidStream™ technology and AZTECH compression code, users are ensured access to their data anytime, anywhere—even in low bandwidth situations—making megapixel technology useable and real. We tore down all the barriers that were there before, giving you true remote access to your high-resolution, storage-intense files. Through the VMS software application, real-time health monitoring is available to ensure that your systems are up and operational 24/7. If something fails, you are immediately notified. 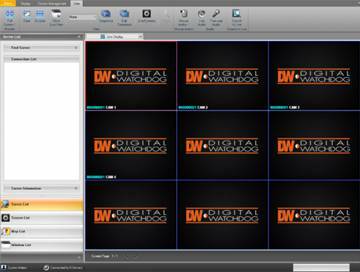 Digital Watchdog takes surveillance video to a new level with our improved Video Management Software System. Our new hardware and software innovation will allow up to 600fps of live video from your PC-based DVR system across any conventional network. 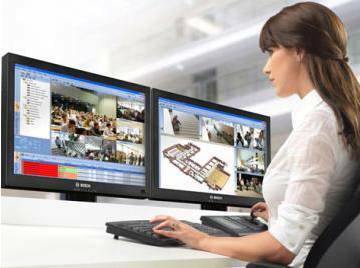 This allows for real-time video from more cameras to your command center or central station. With features like Emergency Agent, mapping software Emergency Agent and local recording, the user is able to control, configure and monitor up to 256 DVRs and view 128 cameras live. Law enforcement agencies will use the multi-site playback and embedded Digital Signature Verification for proper proof of video authentication. 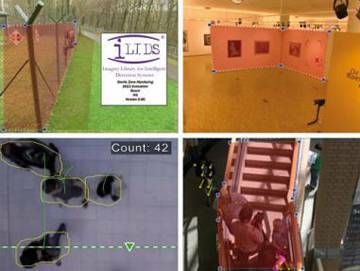 Multiple types of video evidence can be retrieved quickly and accurately, allowing investigations to move forward faster. Pivot™ is a powerful and flexible remote monitoring software, available free with any Digital Watchdog® analog recording solutions. Pivot manages up to 128 sites and includes features such as remote DVR configuration, event search and preview search, which enables the user to control, configure and monitor up to 128 channels. New technology solutions can immediately have a positive impact on operations, safety, and efficiency. 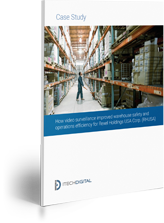 See how video surveillance can help you improve workplace safety and security.